We have a gorgeous color combination for you for this week's color challenge. 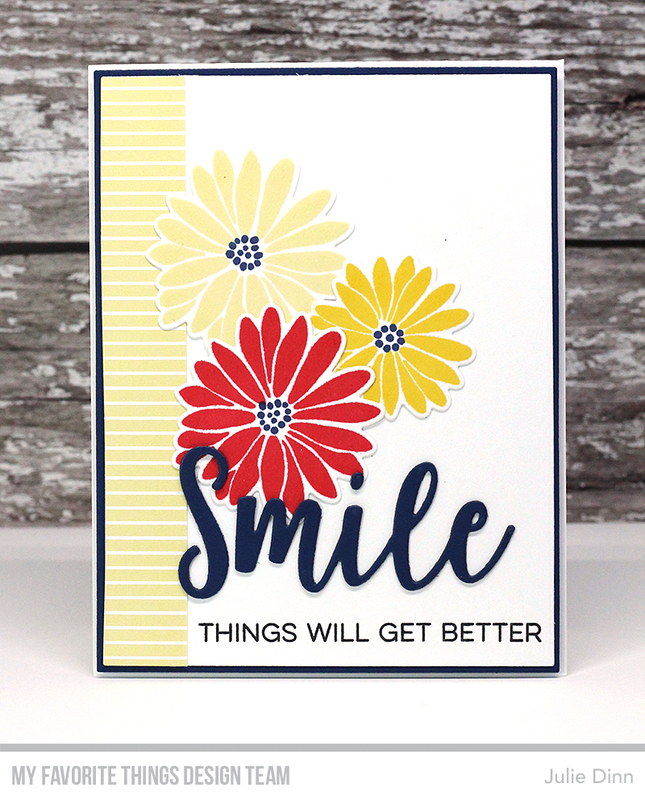 For my card today, I inked up the gorgeous Plentiful Petals stamp set. 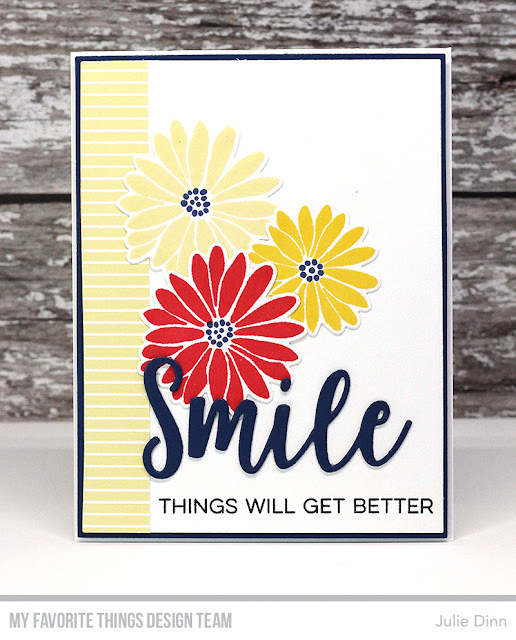 I paired it with a sentiment from the All Smiles stamp set, and the Double the Smiles Die-namics. Hi Julie, lovely card today, I just about had a fit when I saw Sooke, BC on your intro on the MFT blog this morning, I was born and raised in Victoria, mostly around Saanich, went to Cloverdale and Reynolds, my son is a 6th generation Victoria, not many of them around. Great to see someone from little Sooke hit the big stage on MFT! That's a very lovely, I love these big bold flowers!